SYMBOLICAL. 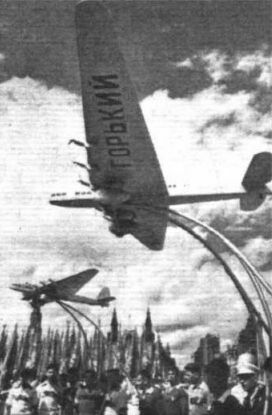 Members of the Soviet Aero-hydrodynamical institute who took part in a recent sportsmen's parade in Moscow carried giant models of the machines which are to replace the Maxim Gorki. 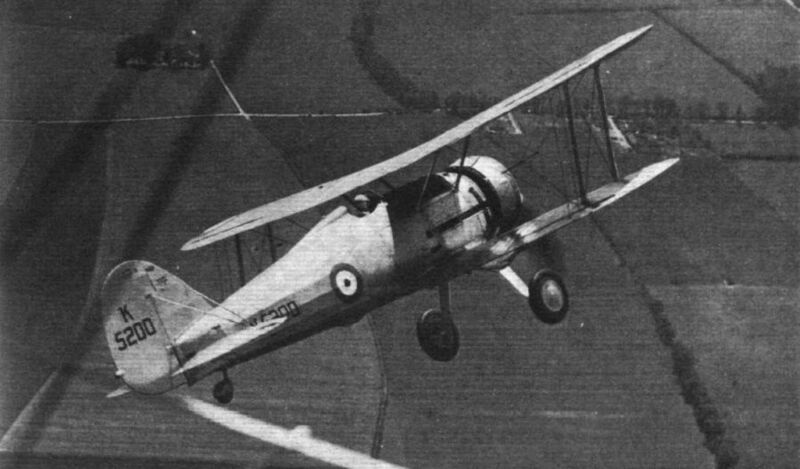 The flight of Hawker "Harts" from No. 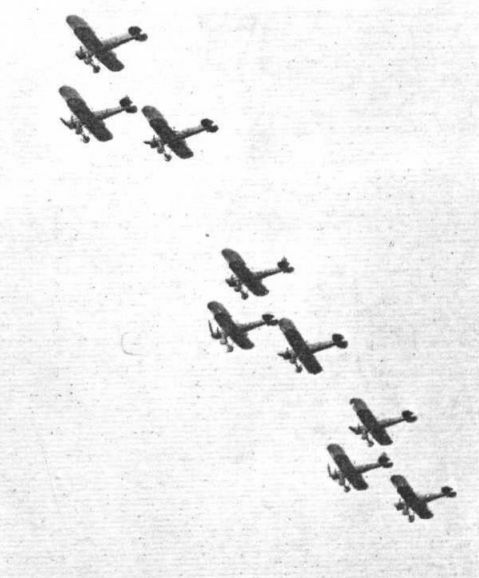 605 County of Warwick (Bomber) Squadron, Auxiliary Air Force, which flew in perfect formation from Castle Bromwich. The Hawker "Harts" of No. 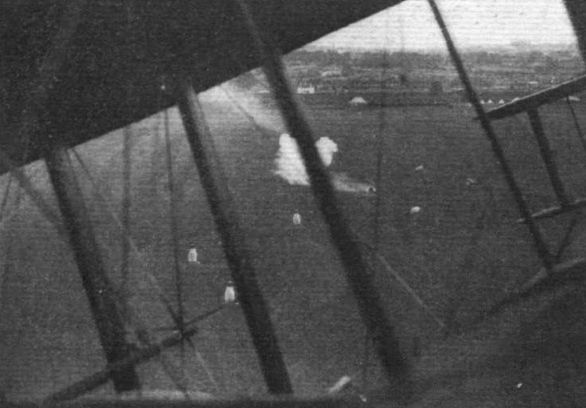 15 (Bomber) Squadron at the bottom of their dive across the aerodrome after the Air Drill event, in which they co-operated with Nos. 18 and 57 (B.) Squadrons. SALUTE. A unique photograph taken from a "Hart" of No. 15 (Bomber) Squadron during the fly-past at Duxford last Saturday. The Royal dais is the light structure in front of the central car park. 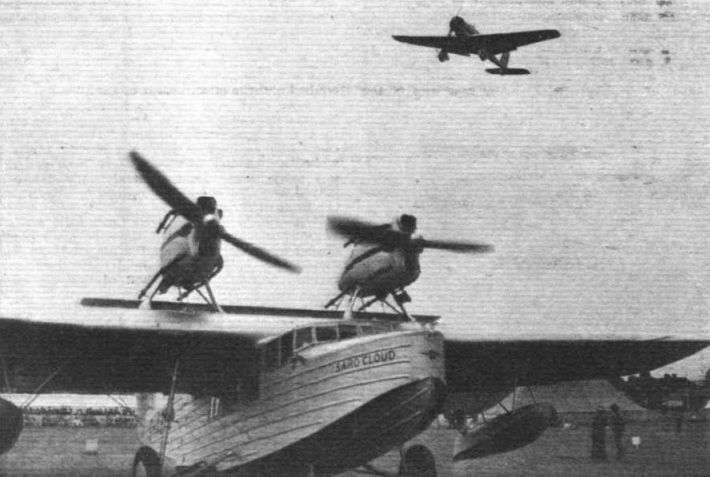 Hand-in-hand: The Westland "Wallace" and Hawker "Hart" during the refuelling demonstration. The pipe is just being drawn on board the "Hart." Mr. MacKirdy's flying "Bulldog" on a matchbox for comparison. 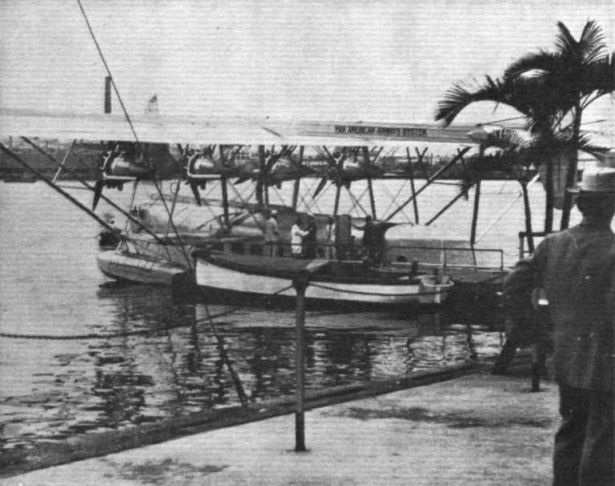 The R.24/31 on the water at Rochester. The condensers of the evaporatively cooled engines are prominent. 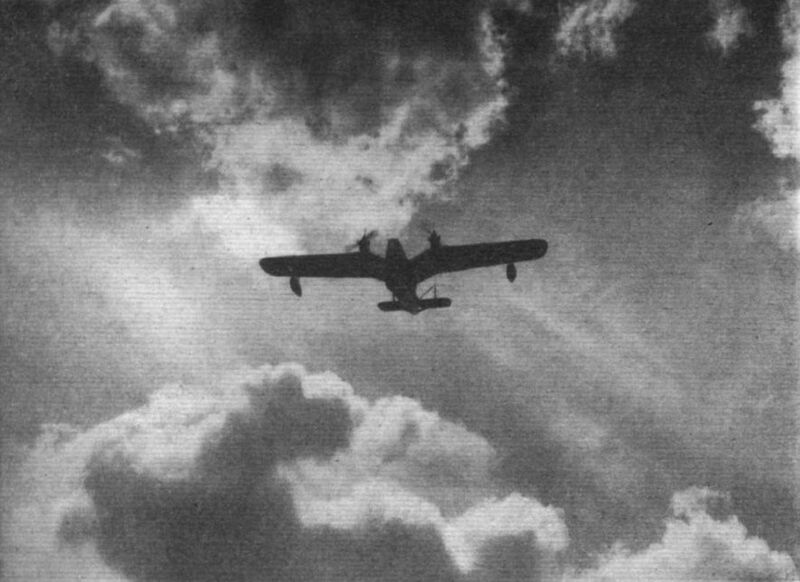 A silhouette view taken at the Display at Hendon, which emphasises the "knuckleduster-like" design of the new Short R 24/31 flying boat. 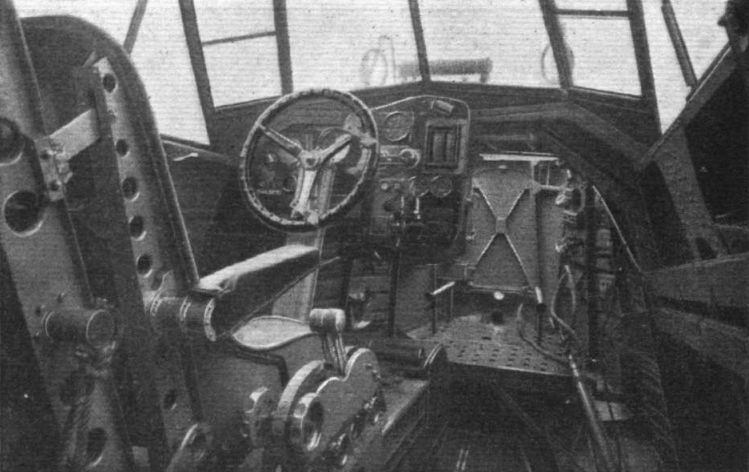 Looking forward into the pilot's cockpit: The pilot's seat can be seen on the port side, with the throttle levers and mixture controls by his right hand. 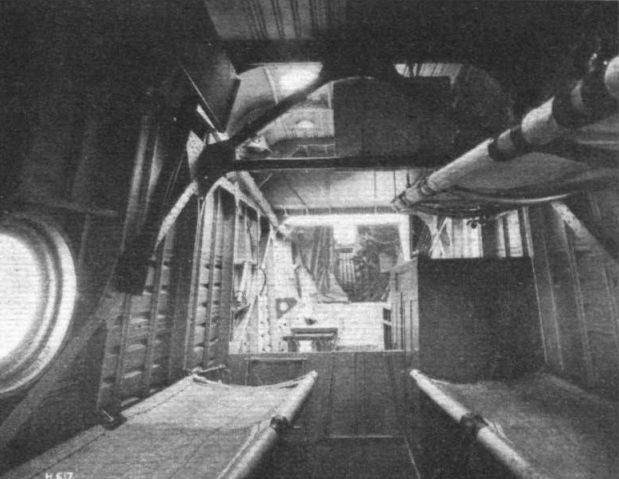 A view aft through the pilot's cockpit : Note the "tumble home" of the corrugated outer skin plating. 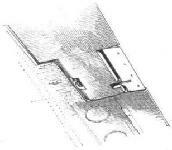 This view of the centre portion of the "Knuckleduster" shows the braced internal structure. The bunks are for the crew. 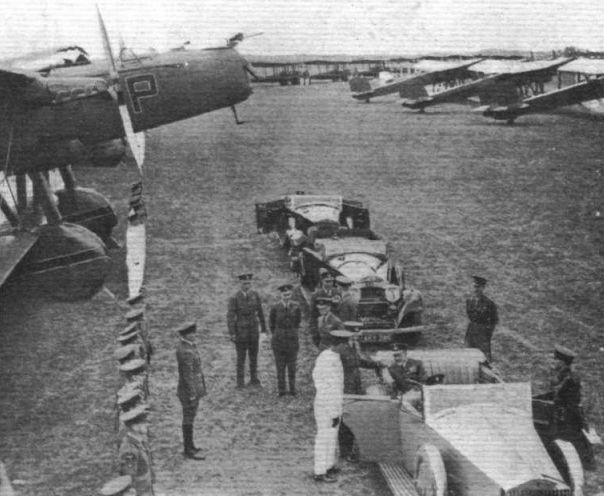 The King at Mildenhall with the Prince of Wales and the Duke of York. He has stopped to inspect the "Heyfords" of No. 99 (B) Squadron. 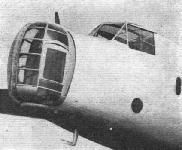 The Heavy Bomber Wing, consisting of No. 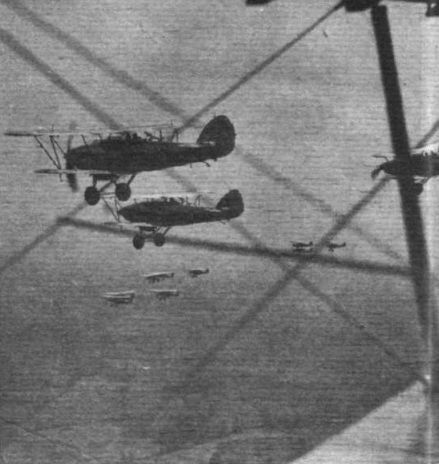 99 (Bomber) Squadron (above) and No. 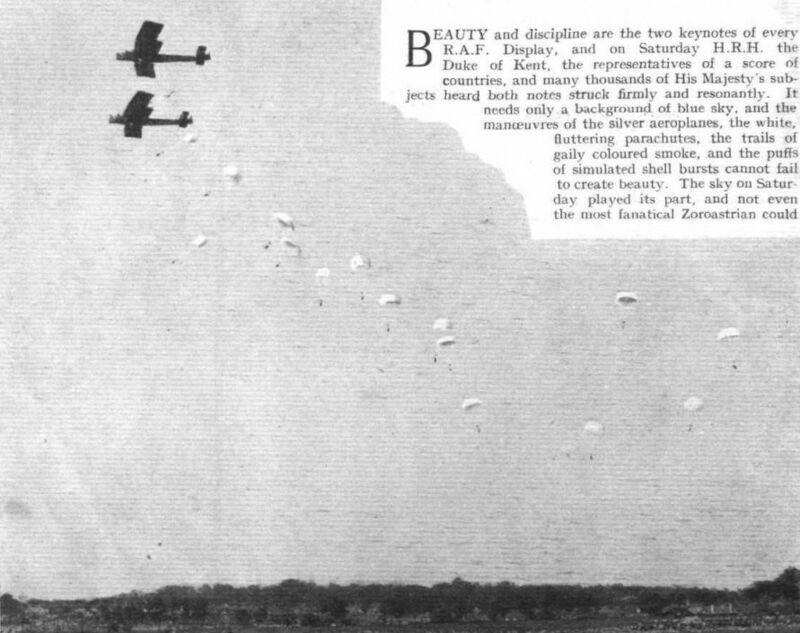 10 (Bomber) Squadron (below) flying their "Heyfords" past the King at Duxford. Each squadron is in the formation "flights astern." 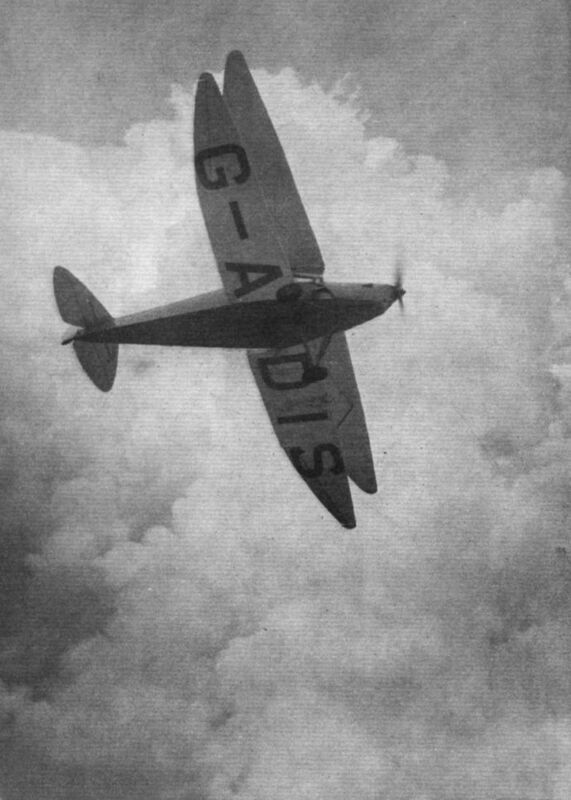 This photograph of the Gloster F. 7/30 are of particular interest, because a number of these day-and-night fighters, with 605 h.p. 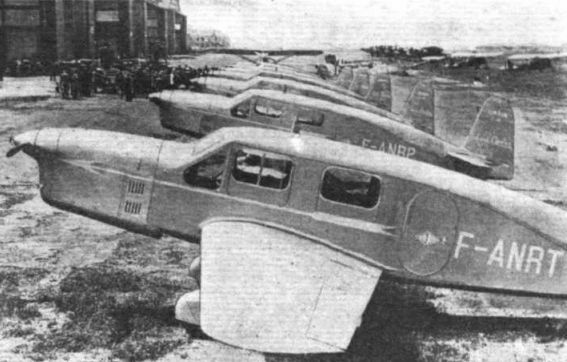 Bristol "Mercury" engines, have been ordered by the Air Ministry. The picture was taken by Flight's photographer from a Hawker "Hart" flown by Fit. 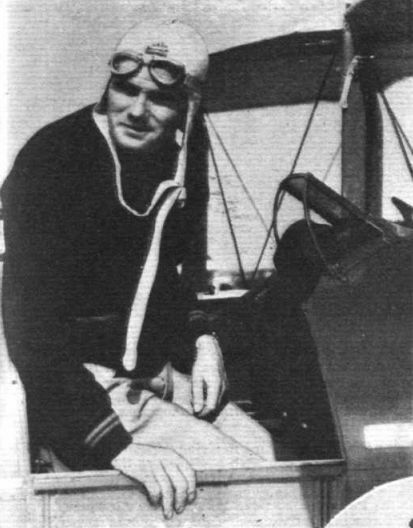 Lt. P. W. S. Bulman, who made a rendezvous with Fit. 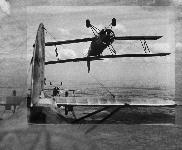 Lt. P. E. G. Sayer in the F 7/30 midway between Brooklands and Gloucester. Two of the F. 7/30's guns are in the fuselage and two under the wings. 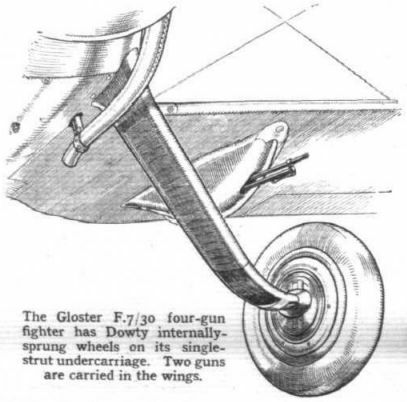 The Gloster F.7/30 four-gun fighter has Dowty internally-sprung wheels on its single-strut undercarriage. Two guns are carried in the wings. 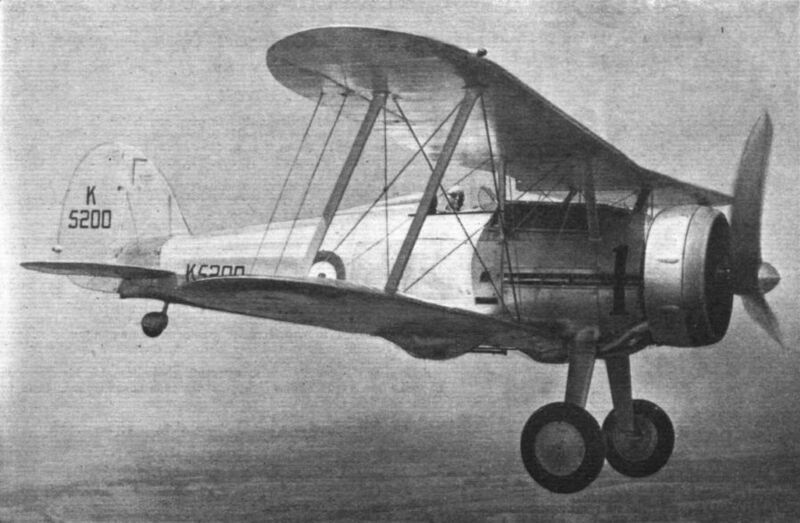 The Vickers monoplane bomber (Bristol "Pegasus") has a special type of construction in which curved diagonal members play an important part. 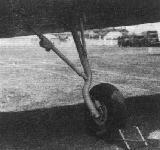 The retractable undercarriage of the Vickers monoplane was not completed in time to show it in its finished state. 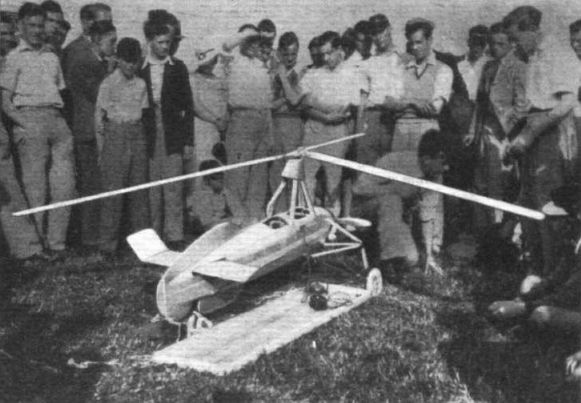 An interested crowd round Mr. Bishop's fine petrol-driven Autogiro model at the N.H.M.F.C. meeting. REGAL ENTHUSIASM. H.M. the King of the Belgians attended the recent display of the Belgian Air Force at Evere. 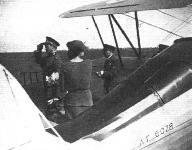 He is seen with Queen Astrid after alighting from the Fairey "Fox" in which he had flown. 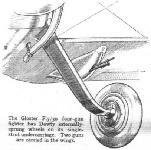 The comparative silence of the Gloster "Gauntlets" of No. 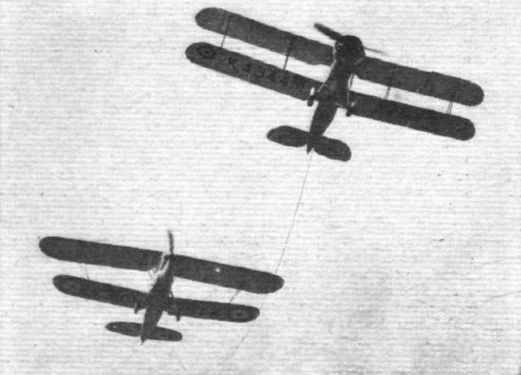 19 (F.) Squadron was generally commented upon when they carried out squadron air drill. 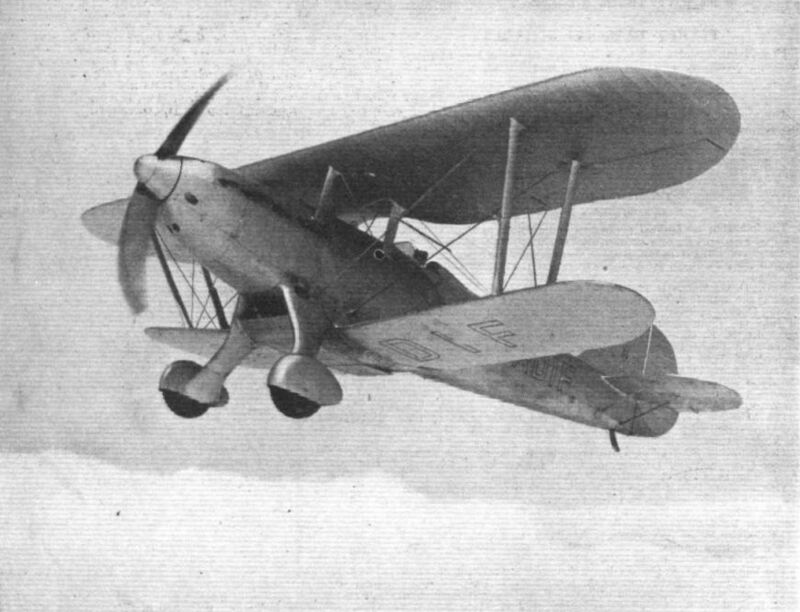 FOR DUTCH COLONIAL SERVICE: A Rolls-Royce "Kestrel-"engined Fokker C.X two-seater of a type which is being supplied to the Dutch Colonial Air Force. The particular machine shown here has a 525 h.p. "Kestrel IIS'' but the production models are receiving "Kestrel Vs" of 600 h.p. At the critical altitude a speed of 205 m.p.h. is attained. "The Coliseum": The transparent turret over the gunner's cockpit in the Avro 652A would look quite at home at the lower end of St. Martin's Lane. Metal skin construction is used in the Bristol Bomber Transport (two Bristol "Pegasus" engines). 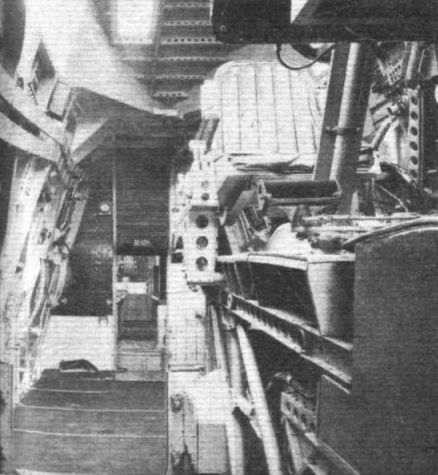 The gun turret in the nose of the Bristol Bomber Transport. The Armstrong-Whitworth Bomber Transport (two Siddeley "Tiger VI") has a transparent gun turret at each end of its fuselage. 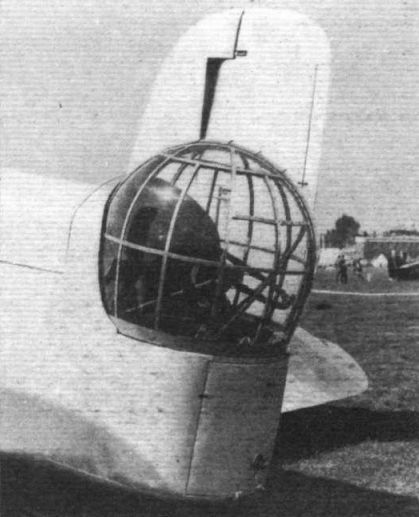 This picture shows the rear turret. An aileron "tab" on the Bristol bomber transport. NOT LESS THAN 250 M.P.H. : The "Fantome" entered by the Fairey company for the Belgian fighter competition. Armament consists of a 20 mm. canon firing through the airscrew shaft of the 860 h.p. Hispano-Suiza 12Y. brs. 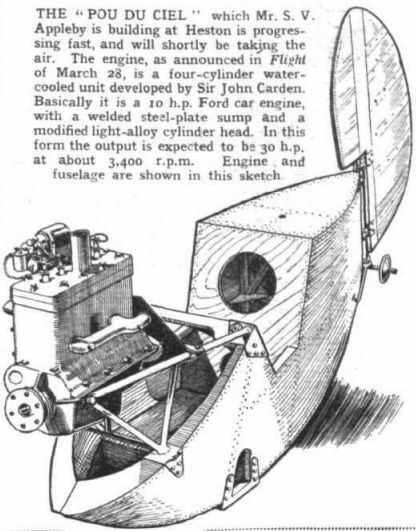 liquid-cooled engine, and four Browning guns. Flt. 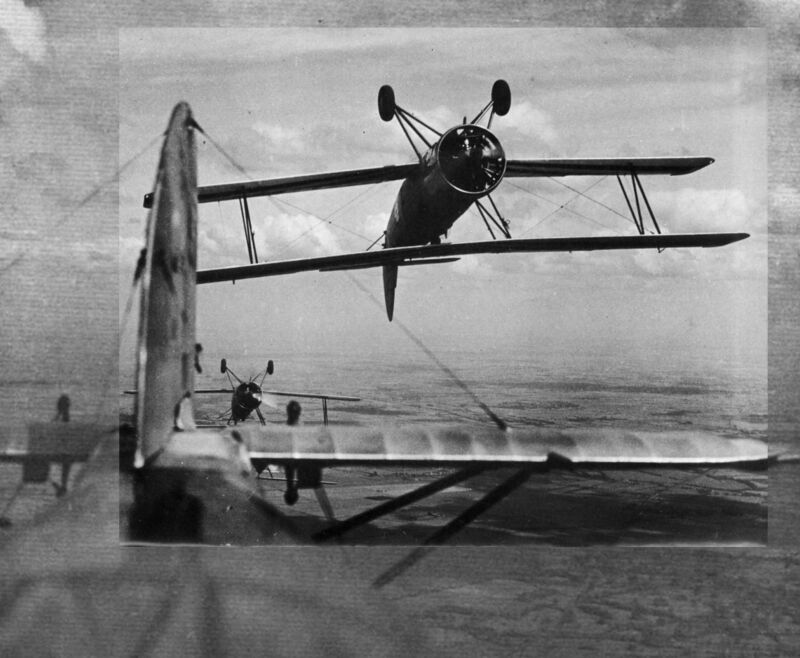 Lt. C. S. Staniland, Fairey's chief test pilot, was flying the machine when this Flight photograph was taken. 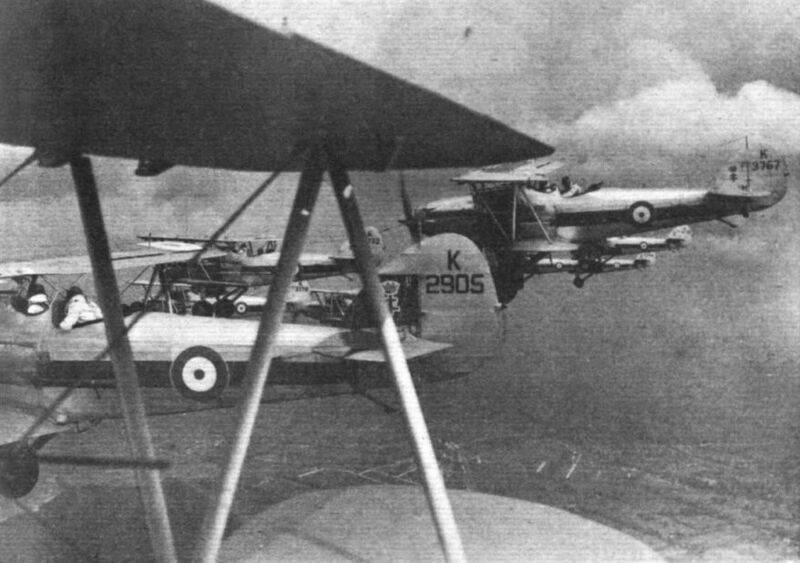 Water-cooled representatives: The Fairey "Hendon" heavy bomber on the left has Rolls-Royce "Kestrel" engines, while the "Fantome" on the right has the Hispano-Suiza moteur canon. INVERSION AT CLOSE QUARTERS. Something the Hendon Display spectators did not see - what the inverted Ano "Tutors" of the Central Flying School look like from another machine only a few yards distant. 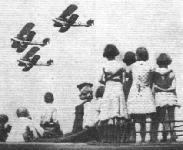 Avro Tutors of the Central Flying School, Wittering, rehearsing their display of inverted flying for the 1933 RAF Display at Hendon. Too much realism. 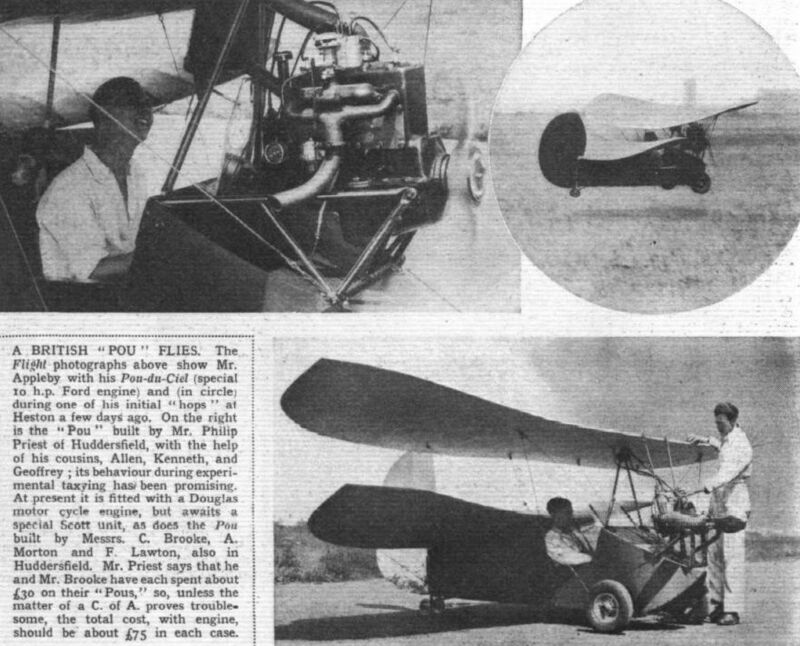 The unfortunate accident to the "pupil's" "Tutor" in the Instructional Flying event caught by the camera; the machine has not yet come to rest. 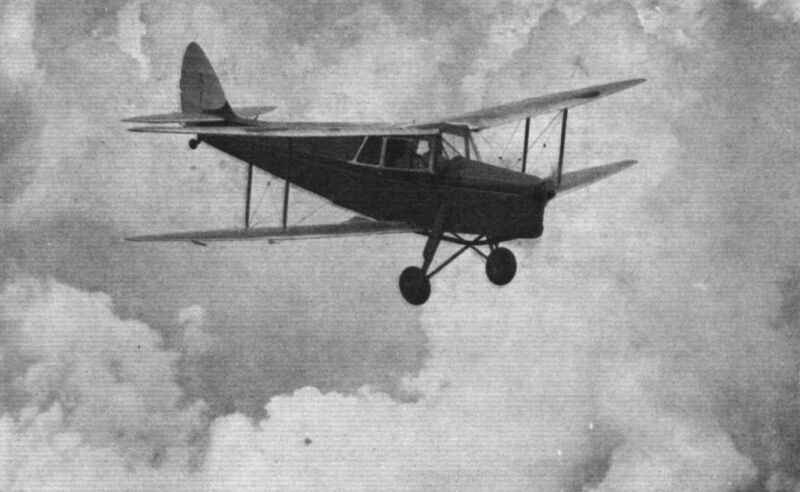 Although a biplane and a cabin machine, the "Hornet Moth," as this view shows, is clean aerodynamically. The undercarriage compression leg is an oleo type by Dowty, and the sloping windscreen is a curved one-piece one of cellon. 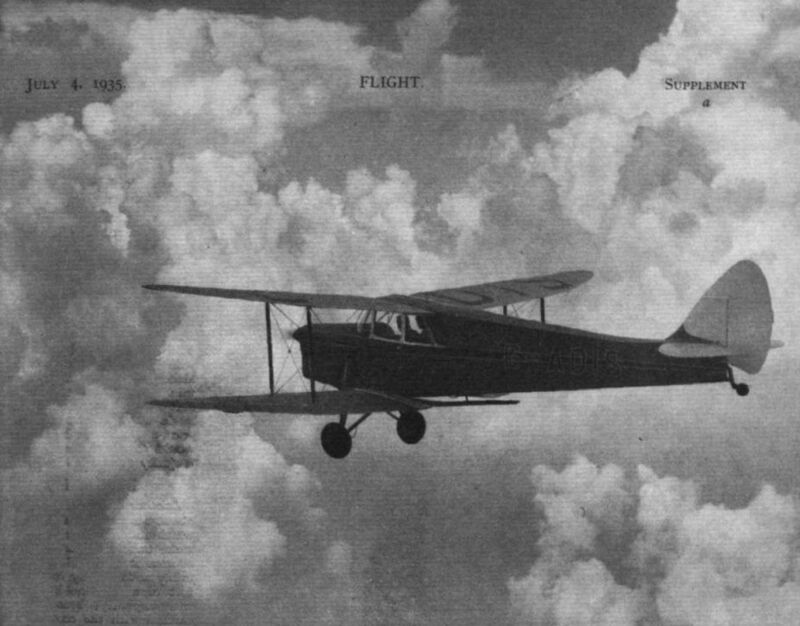 The new "Hornet Moth" in the clouds - those which heralded last week's thunderstorm - at 10,000 feet. 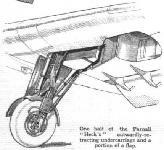 The D.H. Hall Mark: A fine view which shows the heavily tapered wings of the "Hornet Moth," a distinctive feature of all modern De Havilland aeroplanes. 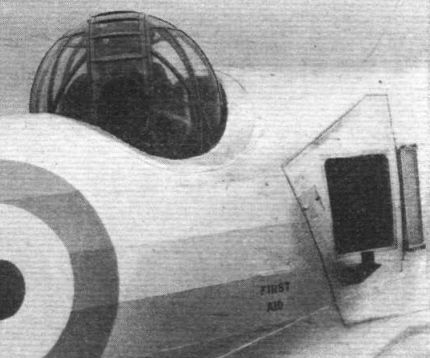 The amount of windscreen visible in this head-on view of the "Hornet Moth" shows the success of the designer's efforts to provide the pilot with a good outlook. At Hendon last Monday. 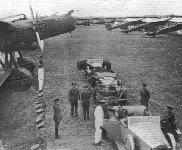 A general view of some of the aeroplanes on view, with the nose of the Fairey "Hendon" in the foreground. An aerial view taken from a "Demon" of No. 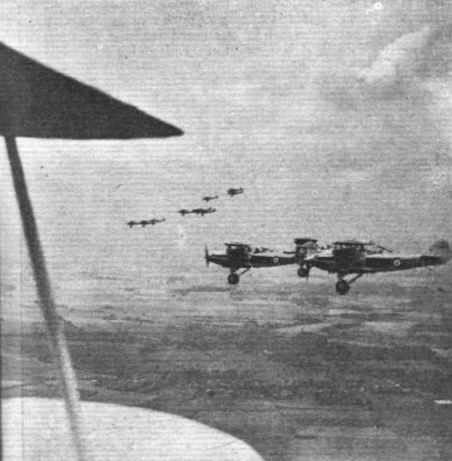 23 (Fighter) Squadron in the third phase of the fly-past at Duxford. 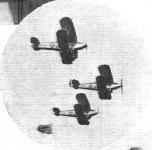 There can be seen a flight of Hawker "Demons" of No. 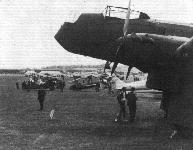 142 (Bomber) Squadron. An aerial view taken from a "Demon" of No. 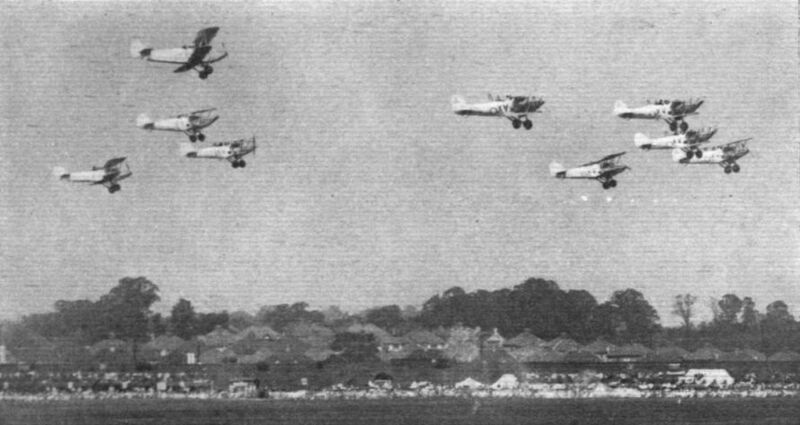 23 (Fighter) Squadron in the third phase of the fly-past at Duxford. 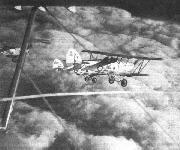 There can be seen a flight of Hawker "Demons" of No. 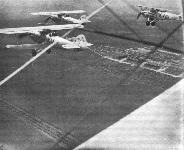 12 (Bomber) Squadron. 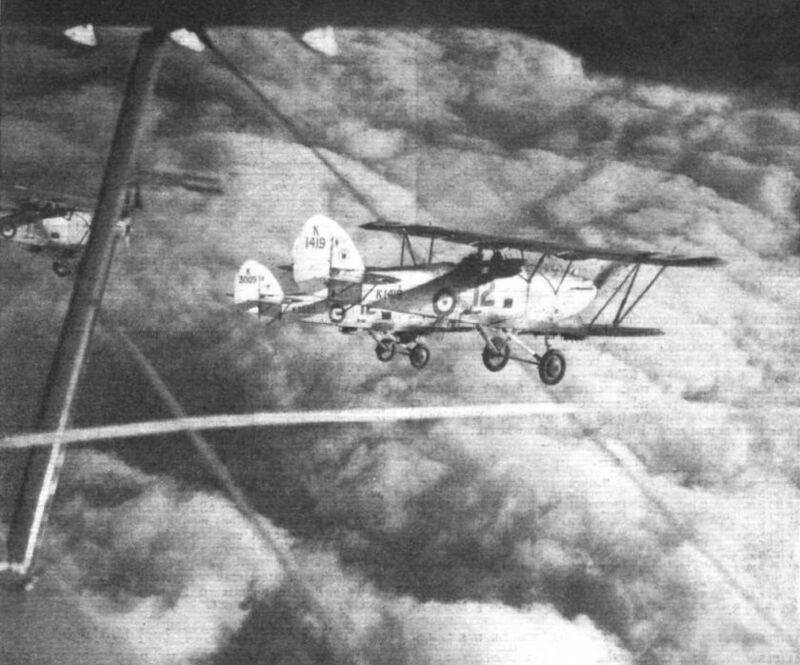 TWO-SEATER FIGHTERS: A fine close-up aerial photograph ol No. 41 (Fighter) Squadron, from Northolt. 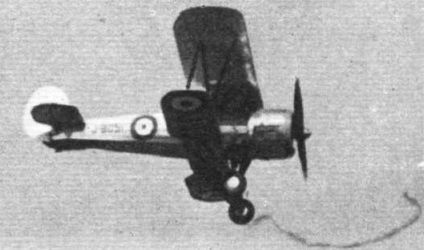 It is equipped with Hawker "Demons" and the squadron marking is a broad red band. The Caudron "Simouns" (Renault) which operate on the fast new mail services between Paris and Bordeaux, Havre, Strasbourg and Lille. 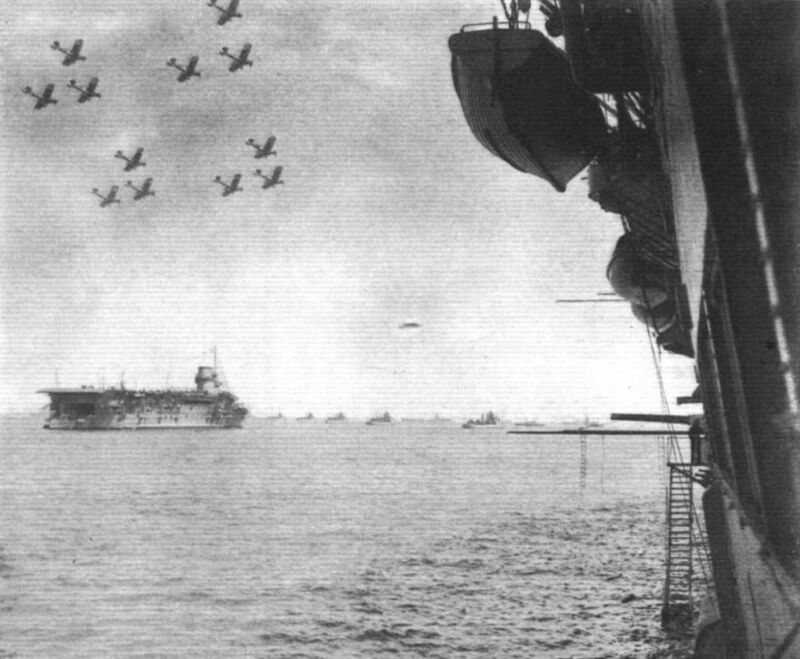 THE WESTERN FLEET. 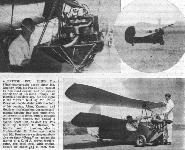 Starting operations with a single machine at Filton aerodrome in 1929, Mr. Norman Edgar's fleet now consists of three D.H. "Dragons," two "Puss Moths" and a "Gipsy Moth." Additional and faster machines are to be acquired in due course for service extensions detailed in this issue. 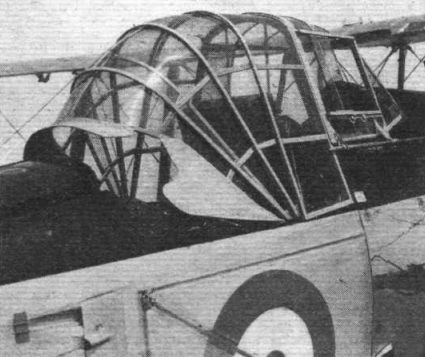 The cockpits of the Westland "Wallace" are protected by folding transparent hoods. A low-altitude aerial view of the "New and Experimental" park. The big machine in the centre, dwarfing the D.H. "Comet" in front of it, is the A.-W. bomber transport. The beautiful lines of the "Comet," which won the MacRobertson Race and now bears Service markings, were the subject of unanimous praise. 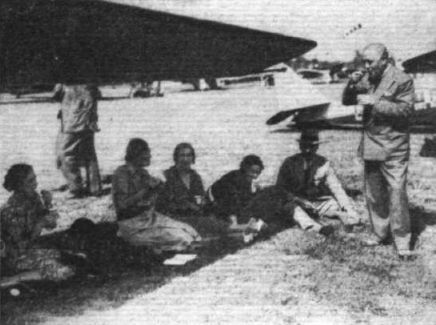 Cooling themselves synthetically in the shade of a "Leopard Moth" are (left to right), Miss Fontes, sister of Luis Fontes of motoring fame, who was second in the Grosvenor Trophy Race, Mrs. Macdonald, Mrs. Battye, Mrs. Paterson, Mr. Roy Harben and Mr. Harold Perrin, Secretary of the Royal Aero Club, who appears to be blowing on his ice, presumably to raise its temperature before eating it. SENIOR AND JUNIOR. Units of the Fleet Air Arm gave a wonderful exhibition of formation flying during their fly-past at the review by the King of his fleet. This is how the Blackburn "Baffins" of No. 810 (T.B.j Squadron appeared from one of the lower decks of HMS Glorious. A sister-ship, the Courageous, is on the left of the picture. 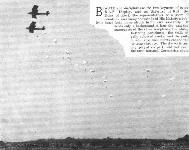 Picturesque, if not exciting - sixteen Irvin parachutes, carrying 200-lb. 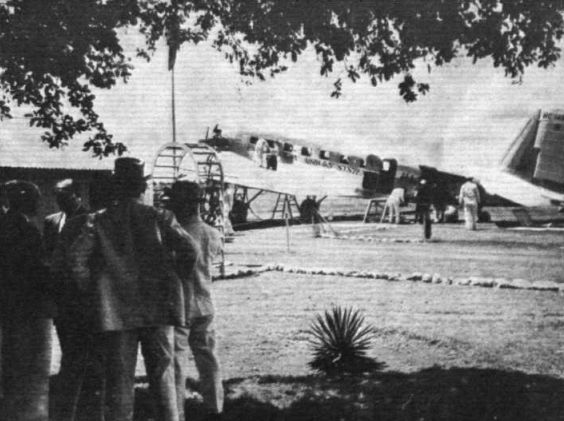 weights, being dropped from Vickers "Virginias" of the Home Aircraft Depot. Flying Londonward in the twilight. - A Flight photographer's impression from the tail cockpit of a "Virginia" of No. 502 B. Squadron. 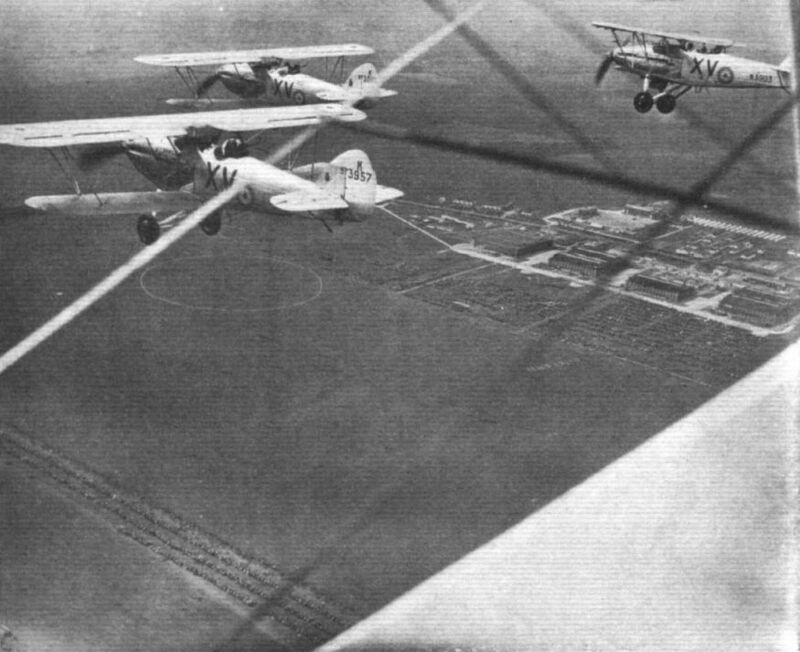 The pilot's view of "Air skittles" - an ever-popular item carried out by "Virginias." The smoke from the bomb which has just burst can be seen. The rubber-driven "Comper Swift" model with which Mr. H. G. Lambert won the Flight Challenge Trophy at the Northern Heights Model Flying Club's Rally last Sunday. Results were judged both on appearance and performance. The model is of the machine which finished second in the 1932 King's Cup Race, entered by H.R.H. the Prince of Wales and flown by Fit. Lt. E. H. Fielden. 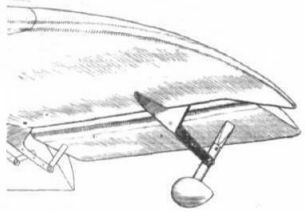 One of the "drooping" ailerons on the Parnall "Heck." 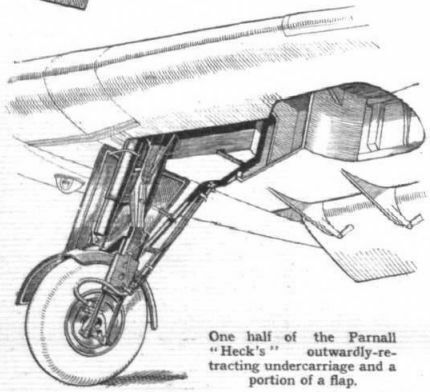 One half of the Parnall "Heck's" outwardly-retracting undercarriage and a portion of a flap. 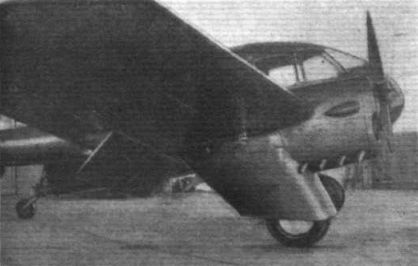 ON THE ROAD: The fuselage of a new and experimental Boeing bomber which has been entered in competition with other types at Dayton, Ohio. 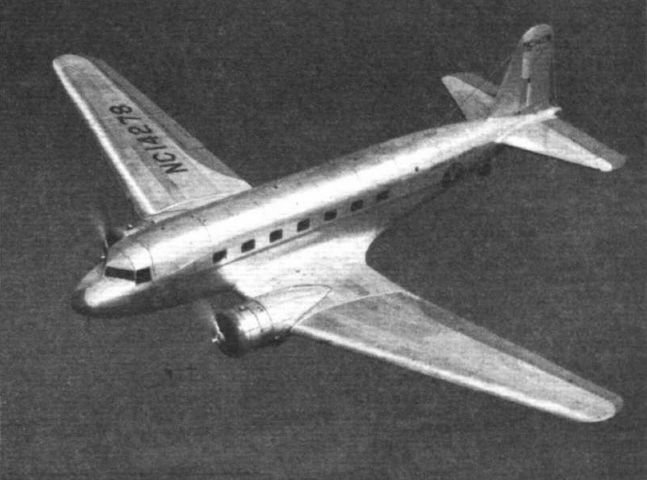 It will be known as the Boeing 290. Four "Hornet" engines, driving constant speed airscrews, are fitted. The span is approximately 100ft. and the gross weight about fifteen tons. A speed between 200 and 250 m.p.h. at 10,000 ft. is demanded by the specification. Lt.-Cdr. C. W. Phillips, R.N. (retd. 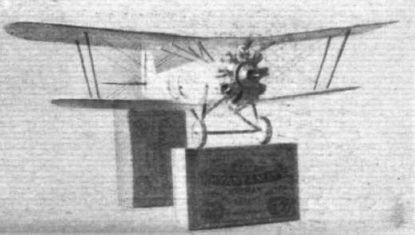 ), who won the Grosvenor Trophy in Mr. Lindsay Everard's "Moth" ("Gipsy III."). The engine is historical, as it is the one which the late Miss Winifred Spooner purchased for her Breda machine for competitions in Europe. 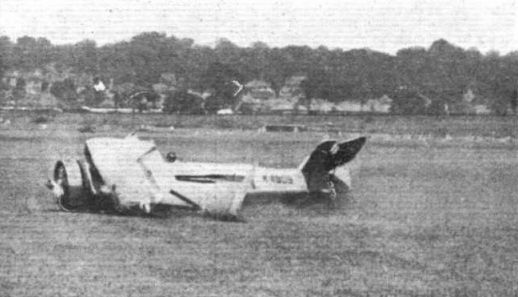 Arnoux, the winner, stepping out of his Caudron "Rafale"
The footstep on the Handley-Page G.P. 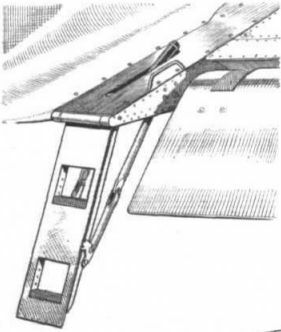 monoplane folds upwards when not in use. SPEED WITH A DIFFERENCE. 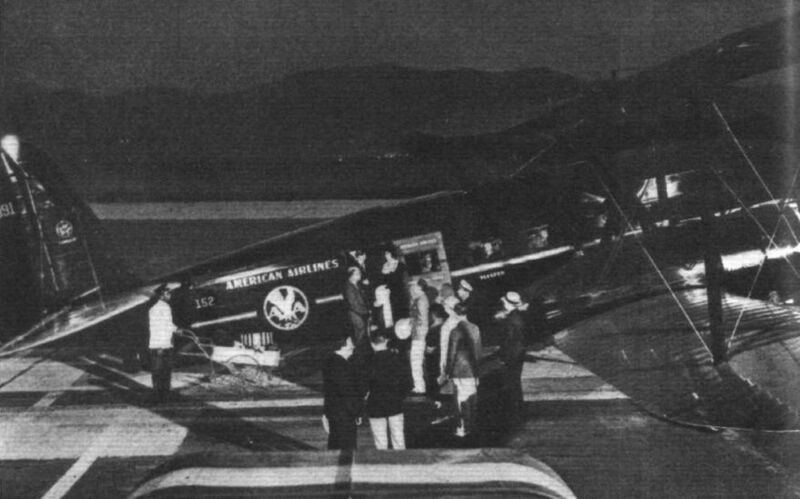 The "Crusader" AG-4, which is produced by the American Gyro Co., of Denver, Colorado, seats four people and cruises at 210 m.p.h. with two 156 h.p. Menasco engines. A larger version will carry five passengers and a pilot at a maximum of 237 m.p.h. In this case the two engines will be Menascos of 210 h.p. each. A CRUSADER. 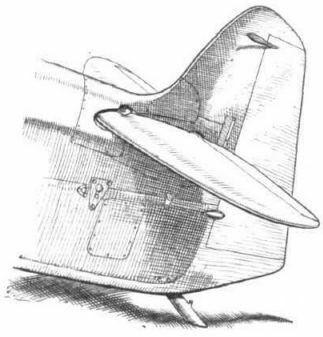 A close-up of the Gyro "Crusader" monoplane which was illustrated in Flight last week. 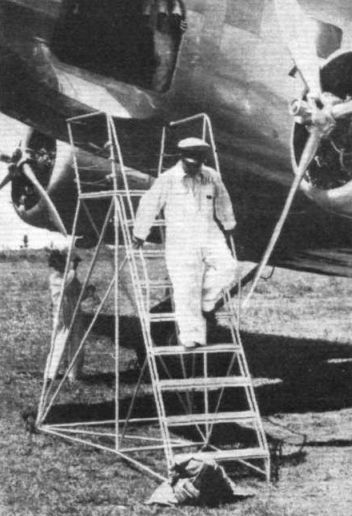 The tail is carried on two metal booms.